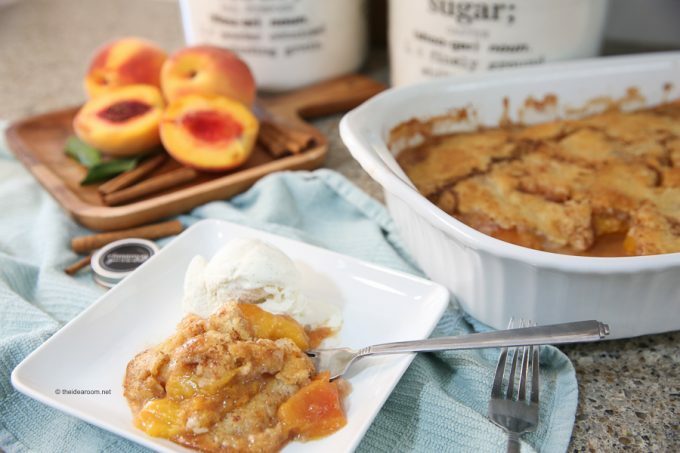 If you have some peaches lying around in your kitchen then you need to make this crispy and cinnamony Fresh Peach Cobbler recipe from The Idea Room! The taste of fresh peaches with a touch of crispy and cinnamony flavors hits the right taste buds. Make sure you add a scoop of vanilla ice cream on top or on the side for more sweetness!